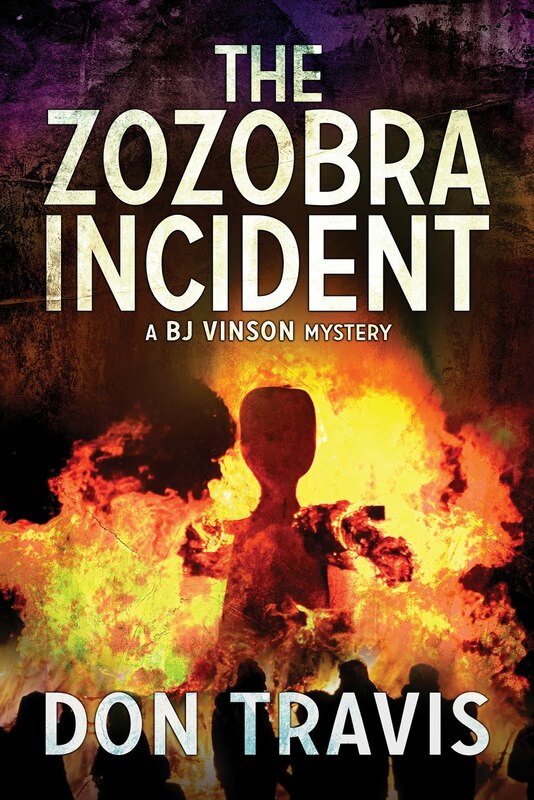 I thought maybe we’d revisit THE ZOZOBRA INCIDENT this week. You know, I really like the cover on this book. 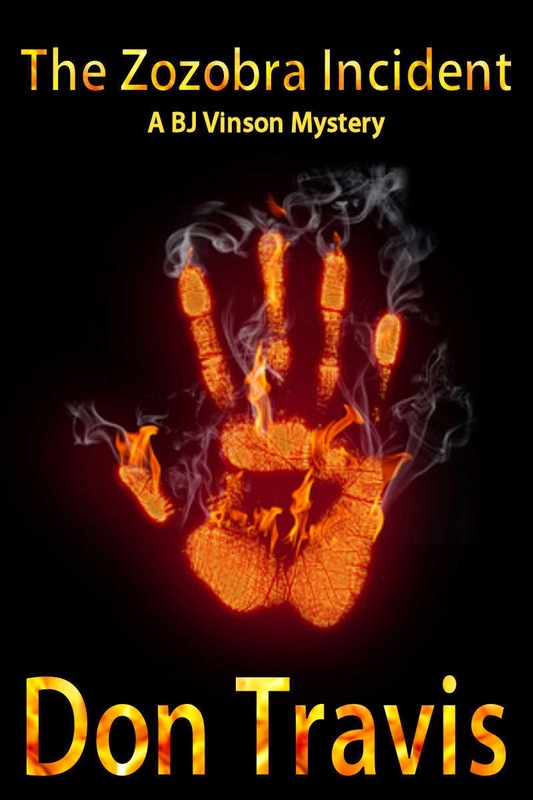 That flaming, open hand picks up the theme of the Burning of Zozobra ritual at the Santa Fe Fiesta and throws it right back in your face. Martin Brown Publishers are good at cover art. That’s Sharene Martin Brown’s doing, I think. Not Robert, he’s a good publisher and great dancer, but cover art? Nah, that’s his wife’s thing. 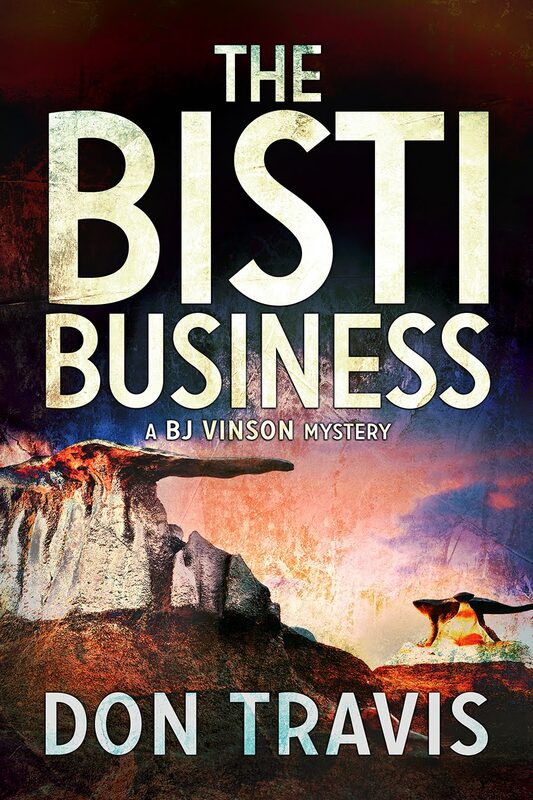 As a matter of record, I like the cover on THE BISTI BUSINESS just as well, possibly better. But I digress (something I seldom do, you know). The following scene comes near the climax of the book in Chapter 27 (Page 259, as a matter of fact). During tense moments in the case, BJ has returned to his third-floor office in an old historic building at 5th and Tijeras NE across the street from the public library in downtown Albuquerque. He’s returned at night after being on a stakeout most of the day. You should know his building has an open middle atrium with offices around the perimeter, accessed by a landing with a sturdy brass rail. But it was the last message that really caught my attention. Mrs. Gertrude Wardlow, my plucky neighbor across the road, had noticed a suspicious car passing up and down the street two or three times earlier in the evening. She suggested I use “extreme caution” in returning home. What a wonderful old gal. If this mess kept up much longer, my staid and stolid neighbors would ask me to move. On second thought, most of them hadn’t had this much excitement in ages. Safe, or presumed safe, behind their windows and drapes, the old geezers probably scanned the street every night before going to bed to check on that “private investigator fellow” down the street. Resisting the temptation to sack out on my office couch, I got up, stretched, and started to leave. An indistinct noise from the landing—a footfall, a shoulder brushing against the wall, something—stayed my hand on the doorknob. The door was a solid plank of heavy oak, but a panel of frosted glass to the left darkened momentarily as a shadow passed across it. After five minutes of inaction, I cautiously cracked the door. A quick look up and down the landing revealed nothing alarming. If anyone was on this floor, he wasn’t visible, but a side hall leading to the restrooms lay between the elevators and me. Was someone crouching in ambush there? I stepped out onto the landing, locked the door, and tugged the peashooter from my belt. I turned away from the elevators and made for the stairwell. I did not hear my assailant’s sneaker on the carpet until it was too late to face him, so I dropped to all fours. He tripped over my legs and fell with his body sprawled halfway across mine. Before he had time to recover, I gained my feet and sagged against the metal banister at the outer edge of the landing. Clinging to my back, he came up with me, flailing with a knife. When the blade ripped into my right biceps, I panicked, twisting away from the hand with the blade and straightening my back to throw him off of me. Time switched to slow motion. The man clawed at my shirt for a moment. Then his center of gravity shifted. He slid over the railing. I clutched at his legs but couldn’t hold on. He fell with a terrified scream. I leaned over the railing and watched him flip on his back during the forty-foot drop to the hard, polished tiles below. He landed with a terrible suddenness and a sickening thud. A dark corona haloed his head. 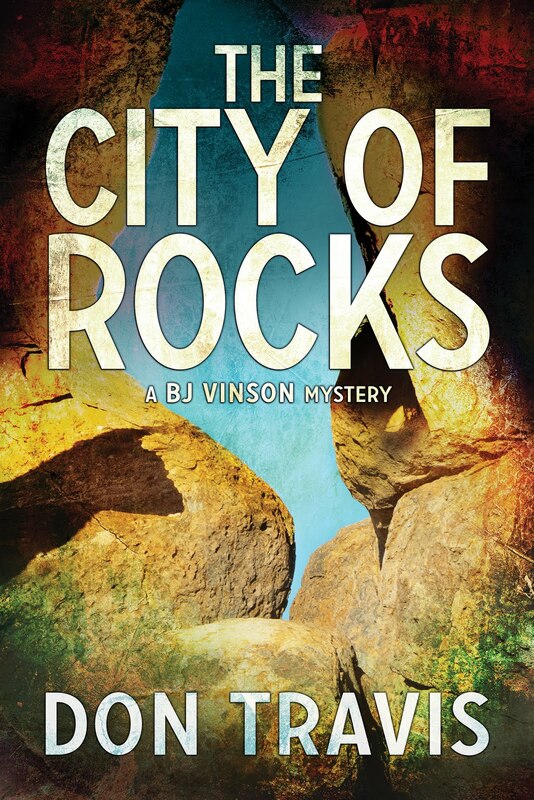 The blood and the clatter of his knife across the baked clay squares, kick-started my brain and released my frozen muscles. Hope you enjoyed the read. I also hope it grabbed you by the neck and demanded you order a copy of the book. Except for the famous ones, authors are always poor and starving. At any rate, that’s it until next week – same time, same place.